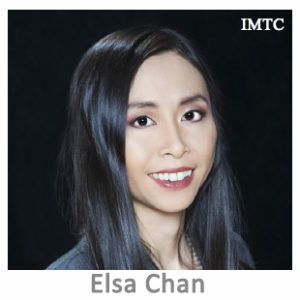 Elsa Chan is the Managing Director for Americas at ComplyAdvantage, a Regtech company that helps firms make intelligent choices when complying with evolving regulations while reducing reputational and financial risks. Prior to ComplyAdvantage, Elsa was SVP of Business Development of Vestwell, a full-service digital retirement platform for financial advisors to scale their business and service companies and employees. Before that, Elsa co-founded Jetlun, an Internet-of-Things (IoT) management platform, and Asoka USA Corporation, a powerline networking technology company. In her role with both companies, Elsa forged partnerships with utility companies, telecom operators and Fortune 500 companies around the world, including AT&T, Swisscom, HK Telecom, Qualcomm, and Motorola. She successfully closed Series A financing and then oversaw the sale of these companies to larger operators. Elsa earned a B.A. degree in Organizational Communications from San Francisco State University and holds 4 network technology patents.